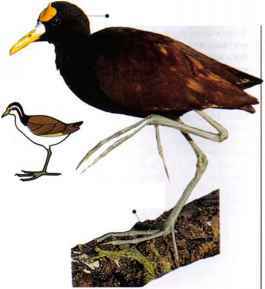 I his bird lives on lakes and swamps, its chief adaptations being long legs, toes, and claws. These enable it to spread its weight, so that it can walk on the floating leaves of waterplants. 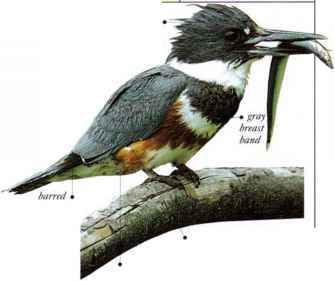 It feeds on invertebrates, frogs, and fish. A female may mate with up to ten males, each of these incubating a clutch and raising his own brood. clutch of her eggs and rears and feeds the young. • NliST A loose layer of dried water-, weeds, on floating leaves. • DISTRIBUTION Central America and the larger islands of distribution the Caribbean.